Join us for an exquisite Palm Sunday concert by our choir, the St. Augustine by-the-Sea Chamber Singers, at 2:30pm on March 25. 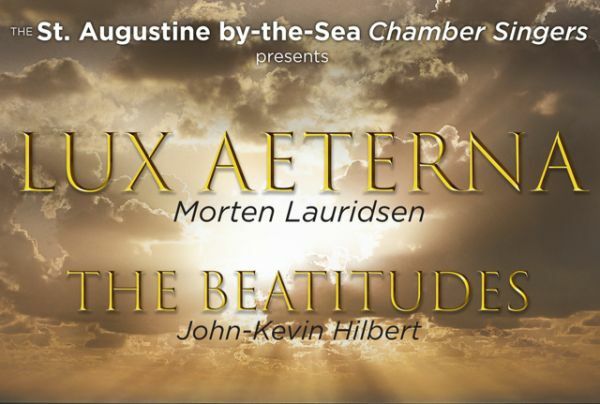 The concert features Morten Lauridsen's requiem Lux Aeterna, a spellbinding piece based on on scriptural references to light. We will also hear the world premiere of The Beatitudes by our very own music director and composer John-Kevin Hilbert. Tickets (in support of our music program) will be available at the door: $20 adults, $10 students & seniors.